Is this something no one has seen before? No, but it is the first time it has been recognized and understood for what it was. 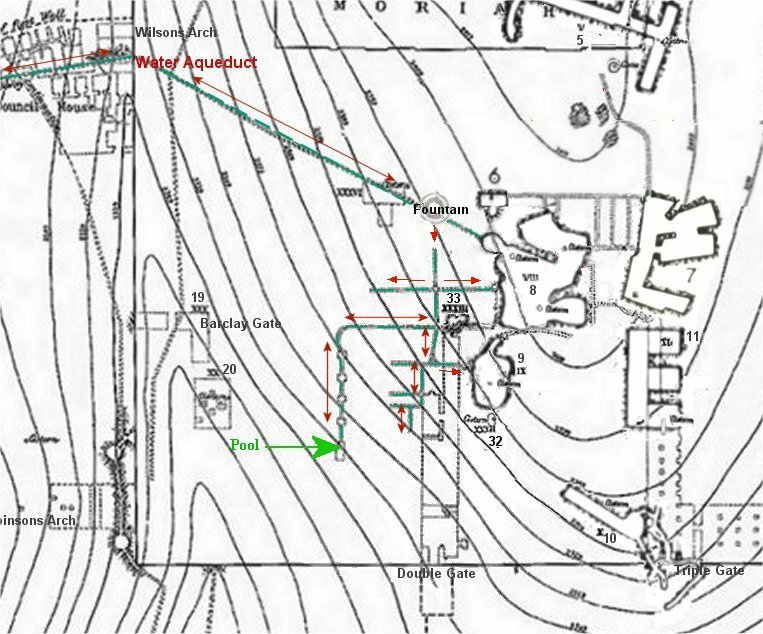 I have been studying the Temple Mount since 2000, but a map of the water system made by Sir Charles Warren didn't make it on to the Internet until 2009. Charles Warren was one of the early explorers in 1864 that had been allowed by the Muslims to explore below the surface of the Temple Mount. I first saw the map hung on a wall in a photograph someone had taken in a museum in Israel. 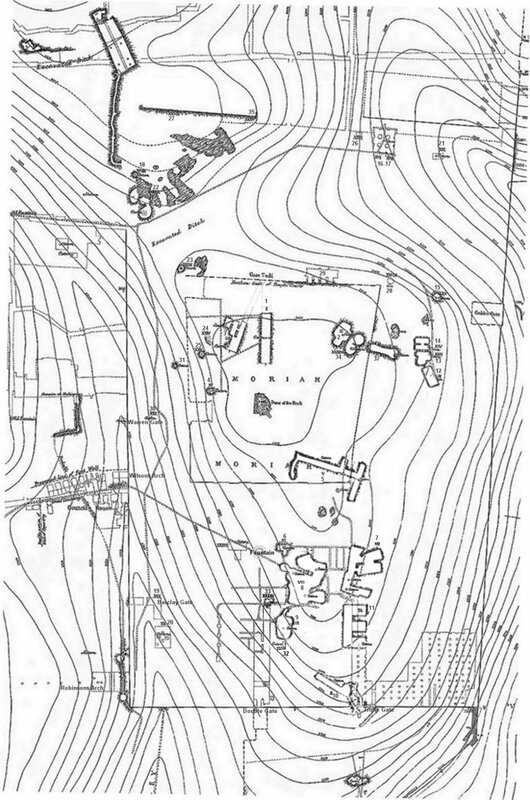 My jaw dropped because I had been using Warren's maps for nine years to illustrate where the old Temple was once located on the Mount. How could I have never seen this map? 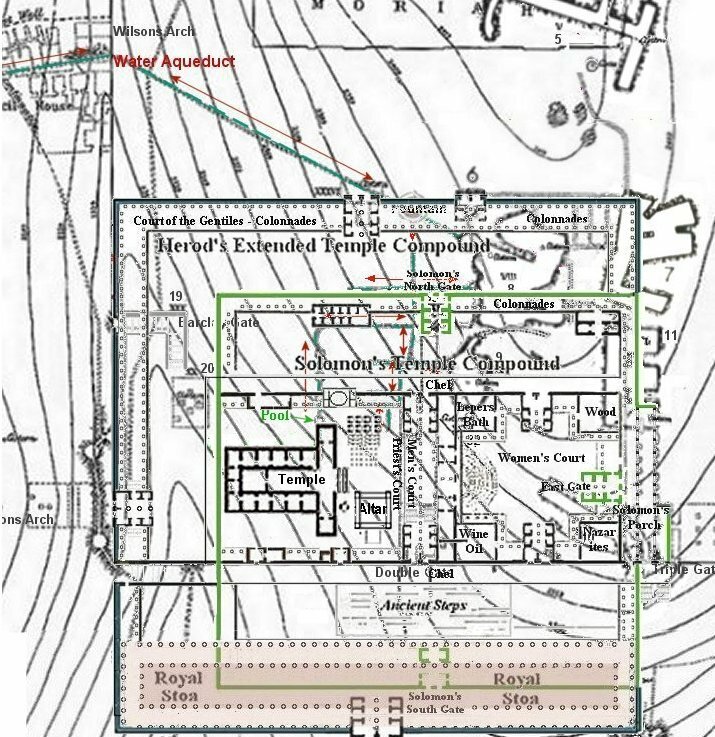 Complete Map of the Temple Mount in Jerusalem, with southern water channels. I saw immediately that it was the ancient water system for the Temple. I knew at a glance that my diagram of the Temple complex would fit over the top of it perfectly, revealing what Solomon had done. I searched the Internet and finally found a copy of the original map. Pasting it into a paint program and overlaying it with my diagram of the Temple complex, which I had created in 2000, was great conformation that my diagram was correct. SW corner of the Temple Mount. Water flowed from the Lower Aqueduct to the water system. The pool was used to submerge the giant Copper Laver for the Preist to wash their hands and feet throughout the day. 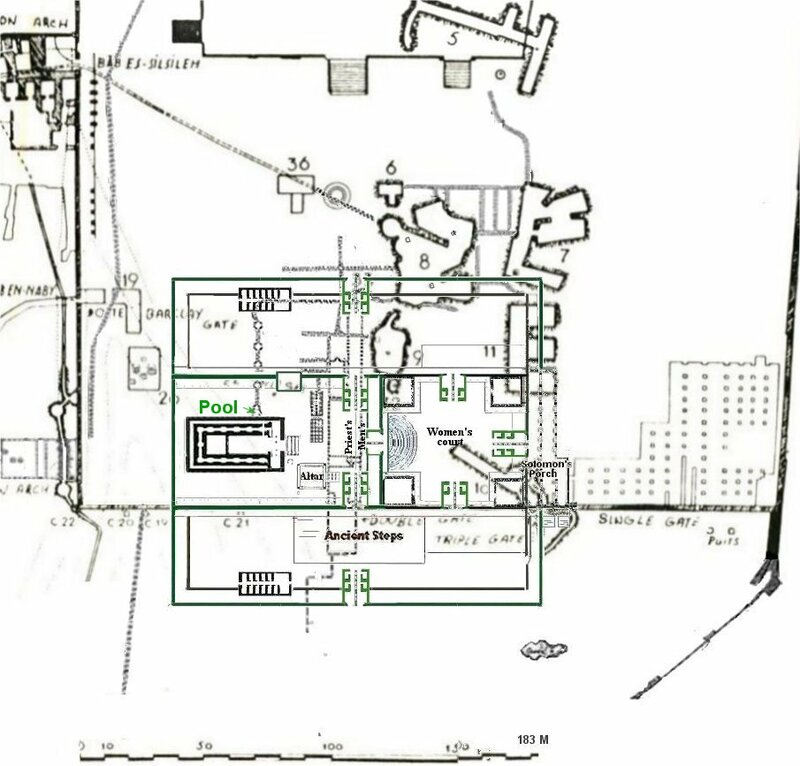 Many of the early explorers drew maps with the Temple placed at the SW corner of the Temple Mount right where this water system was located. Here are the Maps of a few of the Early Explorers. As you can see they agreed only concerning the SW placement and disagreed about almost everything else. So why hadn’t Charles Warren, Chares Wilson, or James Fergusson, and a few other early explorers, understand what this water system was? These early explorers of the Temple Mount placed the Temple at this southwest corner because it was the only place on the Mount that fit the description given by Josephus, a Jewish historian that lived in Jerusalem in the first century. 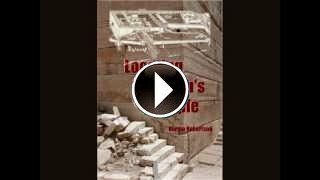 Josephus later wrote about the Temple and its destruction in 70 CE in his books. These early explorers also had the evidence of the ruins deep within the Mount itself. They noticed that it was 600 feet, or one furlong, from the southwest corner to Triple gate, the exact measurement that Josephus had given for the width of the Herodian Temple complex. Why do I see it and they couldn’t? I have an advantage they didn’t have, which is the excavations of the Ophel, which is located beyond the south wall of the Temple Mount. They couldn’t imagine a Temple complex that continued beyond such a formidable wall. If you have watched my videos or read my book you will agree it was very possible. Josephus refers to the southern court, which contained Herod’s Stoa, as the lower court. He explains that one had to ascend steps 22 feet high to enter the upper gates leading into the sacred area of the Israeli court and priest court. The lower court was 22 feet lower on the hill than the entrance to the Temple court, not only in Herod’s Temple but also in Solomon’s. Those 22 feet high steps can be found at the south wall of the Temple mount leading up to Double Gate. But in the 1800 hundreds those steps were hidden under tons of dirt and rubble. In fact, they were not revealed until after 1968 when the excavations of the Ophel area began. Because these men did not have the advantage that I have, they could not fit the water system to the Temple. The Temple house itself would have had to be located too close to the south wall and would leave no room for a the southern court of the Temple.